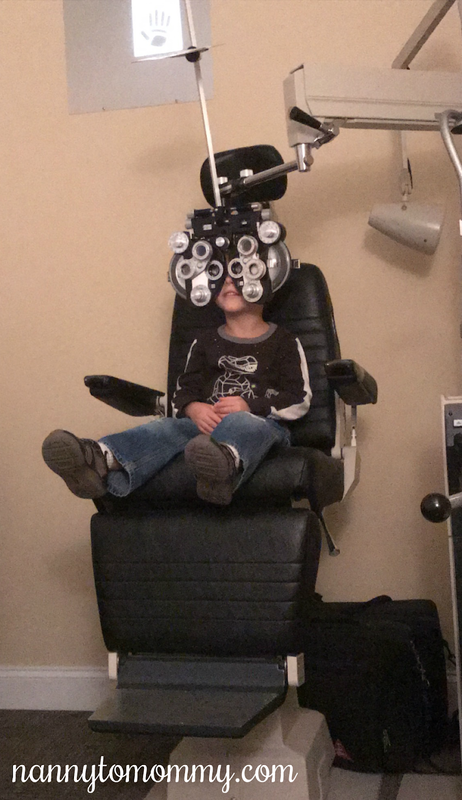 So I have been having concerns about my son's eye sight. My pediatrician said that children should actually go to the ophthalmologist once a year especially if you have eye insurance. 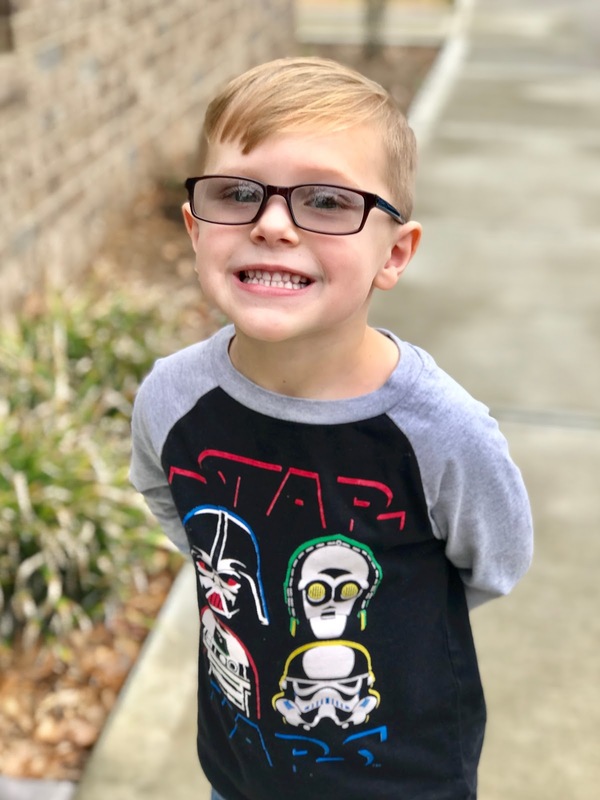 This post is all about my experience getting my son his glasses. If you have ANY concerns at all, even the slightest thing, then you need to talk to your pediatrician. Write down your concerns as soon as you have them so when you go to your pediatrician you can address them. I wish I had done this. I am not a doctor, this is just our experience. 1. Rubbing of Eyes. My son does this often (not just when he is tired) and he will say his eye hurt a lot as well. 2. Physical issues. This can include crossed eyed, but in my son's case one of his eyes looked "lazy". 3. Holding objects too close to face. Whether it be an ipad, a book, or coloring sheets, my son holds objects way too close to his face and it is always because he says he needs to so he can see. Your child may be vocal about this yet, so this is a huge look out. 4. Suspected Developmental Delay. I have talked to my pediatrician about this, like you should with any concerns of developmental delay. My son isn't getting any better with catching or hitting a baseball even though everyone else on his team did and we constantly practiced with him - he also says he enjoys it so that wasn't the issue. As far as school work, he isn't getting better with writing or recognizing letters although he has a very good teacher this year that works with him one-on-one. I have also been working with him more at home and I am just not seeing improvement. He seems to have issues focusing on the paper. Looking back now there are issues I thought I noticed when he was younger, but either I let people in my life brush it off or I did myself. I told a few people about this, but they brushed it off. I did not talk to my pediatrician like I should have. - When he was about 7-9 months, when close to me, he wouldn’t look right at me. - He refused to do his worksheets in 3K. His teacher was “too nice” and never made him. And I always thought it was just his personality. - he never liked coloring or reading picture books with me. My son's birthday is in March. I had been noticing issues when he started this school (4K). Last year, he refused to do any of his work sheets. He would say they were boring. I always said his teacher was just too nice to be his teacher and I thought the issues he was a personality problem more than anything. I was excited for his teacher this year. She said he would try not to do the worksheets, but she would just kindly make him. I think that is part of the reason his eye turning has gradually became worse. I talked to a few people about his eye issues and they would brush it off. But I just decided to talk to my son's pediatrician at my daughter's check up (December) and he recommended I see an ophthalmologist. I searched "pediatric ophthalmologist near me" in Google and after a few phone calls, I was able to find one that took both our eye and medical insurance. The place I went to said they actually don't see many children, but you wouldn't know it. They worked so well with him and found images he could look at instead of reading letters/numbers. They let him trace with his finger instead of saying the numbers for the color blindness test. They even had a few toys he could play with in one of the rooms when his eyes were getting dilated. The conclusion is, my son has a condition called amblyopia. He most likely had this condition as a baby and it could have been helped with patching, but right now he needs glasses. He doesn't have a full on lazy eye, but it could have become that way. Glasses might help improve it, but surgery could also be in our future. We will just have to see. And right now, the optometrist said he needs glasses for far sightedness and astigmatism. He had to get polycarbonate lens. Thankfully my insurance pays for them because they are recommended to the point that you have to sign a waiver if you don't get them for your child. Basically polycarbonate is what bulletproof glass is made out of to protect a child's eyes. My insurance also paid for transition lens for him (lens that transition to sunglasses when in UV light) so we got that as well for additional protection from ultraviolet radiation, but the polycarbonate protects against that as well. I am so thankful that I trusted myself and went through to get him checked out. Trust yourself, Mamas. You know your child and should trust your instincts. I had been self doubting myself for multiple reasons, but I think the number one reason is because I didn't want anything to be wrong with my child and who does? But we aren't perfect so we can't expect our children to be either. This was a emotional experience for me, but I wanted to share it with all of you. I cried because I was sad that my son couldn't see this entire time, I cried because I was relieved that I was right, and I cried because I'm generally an emotional person. Follow our family on Instagram. Did your child ever need glasses or have eye surgery? Please tell me your experience below. I was in high school when I got glasses. I went several years with headaches and squinting to see before it dawned on me that I might need glasses, lol. By the way, he looks cool in his new specs! My daughters are now grown but they both wear glasses, contacts once they became older. My oldest started wearing them in kindergarten, I just happened to catch he holding something very close one day and asked her some questions. My youngest started wearing them in first grade, we found out she needed them after a routine eye exam. She wore them until she was 12 when another eye doctor said she no longer needed them. When she was 20 her eyesight was getting worse and she started wearing them again, along with contacts.